Stepping onto the property ladder is becoming increasingly difficult and figures suggest many millennials will rent for the rest of their lives. This means that it’s a good time for property owners to sustain their venture or expand their portfolio, especially with the current availability of Buy-to-Let mortgages in place. That being said, maintaining positive relations with your tenants will forever be a precarious challenge. An annual report by HomeLet showed that 85% of tenants were between ‘very happy’ and ‘somewhat happy’ with their landlords, whilst 96% of landlords said they were between ‘very happy’ and ‘somewhat happy’ with their tenants. Yet interestingly, 52% of landlords also said they had dealt with a problem tenant, showing that not all agreements are peaceful. Check out our six top tips on how to keep things running smoothly with your tenants. Whilst interfering landlords may be a major problem for many tenants, better that than an elusive landlord who is unreachable, especially during an emergency. Make sure your tenant’s method of communication matches your own, be it a letter, email, phone or text. Whilst being contactable is crucial, as is your location. There’s no use in receiving an emergency call from a tenant when you live 50 miles away. Being local to your tenants proves you care, enables you to build solid relationships with them and allows you to make small fixes quickly. If this isn’t possible, make sure you have contacts in the area who you can trust to sort any problems when they arise. If your tenants do have an emergency, how quickly you come out could dictate whether they sign another contract with you. Even if it’s a minor thing like a light bulb, consider whether your tenant needs extra assistance with maintenance and engage with compulsory maintenance regularly. When it comes to signing contracts, performing checks and fulfilling your side of the tenancy agreement, it’s not just a matter of maintaining good relations with your tenants. It’s also a legal obligation. Retaining your professionalism at all times is essential if you want to gain a good reputation as a landlord. Whilst many UK landlords don’t allow tenants to keep pets, being flexible when it comes to letting with pets could separate you from the crowd, and may well be the start of a long business relationship. Take an objective look at the owners and their pets on an individual basis, remembering that the size of the animal isn’t always indicative of its nature… a Chihuahua could cause much more noise and damage than an elderly Rottweiler. Your honesty and fairness could increase your reputation and improve the trust that future tenants and letting agencies have in you. With landlord rating sites on the rise, it’s crucial you do all you can to be fair with your tenants—from the tenancy agreement to withholding deposits. The trick is don’t be a pushover, but don’t be callous. 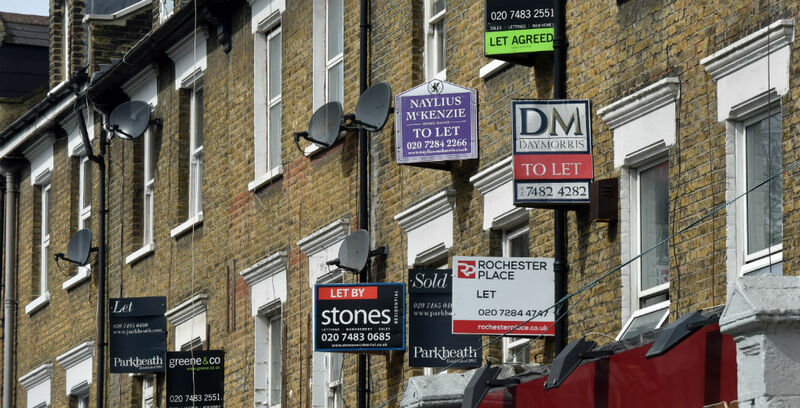 Less of a direct concern for tenants, appropriate landlord insurance should be sought after for both landlords and their prospective tenants. Without the right level of cover, you could be held liable for a situation arising out of your negligence which could also be detrimental to your tenant. With the right protection, you can feel confident in the knowledge that your business is safeguarded even if things turn sour.